In part 2, I shift my focus to 10 specific players I'll be watching and why. These are all kids, who I'm very anxious to see in game action and will be paying extra attention to. Upon returning home, the rookies will then hit the ice for one more game against the University of Calgary at the Markin MacPhail Centre at 7 pm MT on Wednesday, Sept. 16. Note: I will be on the ground in Penticton from Thursday until Tuesday so for updates, keep an eye on the blog, be sure you're following me on Twitter and while you're at it, why not take a moment to like Flames From 80 Feet on Facebook. Three months after being picked 22nd overall in 2013 NHL Draft, Emile Poirier won over Flames fans -- some still feeling the Hunter Shinkaruk blues -- with an impactful training camp. Unfortunately, last year he didn't get a chance to build off that. Off-season shoulder surgery sidelined him through the end of October meaning no training camps whatsoever. Now he's healthy, the former No. 57 has graduated to the 'big league' number of No. 28 and with a delicious blend of speed, skill and agitator, he's thetop prospect not named Sam Bennett. Had a 6-game NHL audition last year -- all of them on the road interestingly enough. Count on a home debut this season. The only goalie under contract for 2016-17 is Jon Gillies. That's all you need to know about the opportunity in front of him to quickly ascend to the NHL. However, what's a realistic timeframe? In this piece I examined how long it took NCAA goalies to graduate to the NHL. You may be surprised to hear that it often takes three years of apprenticing in the AHL and Ben Bishop and Jimmy Howard took four. We're about to find out if Gillies is an ordinary goalie looking at a 2018-19 arrival or if he's an extraordinary goalie, who could get there in 1-2 years. What we know is in backstopping Providence to a National Championship last year, he sure looked like a legitimate star. You tend to forget that Morgan Klimchuk was a first round pick. Coming on the heels of the selection of Sean Monahan (6th) and Poirier (22nd) in 2013, Klimchuk went 28th overall with the pick the Flames got from Pittsburgh in the Jarome Iginla trade. Klimchuk wants to turn pro this season and my guess is he does, but it's not a certainty and that's a promotion he'll need to earn. He can make it a non-debate by standing out in Penticton where he should be one of the top players. He's deadly around the net and a role on a top line and a few goals this weekend would give him a nice boost as the Calgary kid prepares for the biggest training camp in his young career. The guy right in the middle of the best college hockey line in years ended up the only guy that didn't make the show last year. Former Boston College wing-men Johnny Gaudreau and Kevin Hayes made the jump straight to the chartered flights of the NHL while Bill Arnold was left to ride the bus in the AHL. But Arnold, 23, may soon be reunited with his buddy Gaudreau as while he isn't nearly as flashy, he does a lot of other things well such as his defensive play, penalty killing and work at the face-off dot -- and these are all ingredients successful teams require. A solid first pro season last year was disrupted by a shoulder injury. A strong camp this year could make Arnold a call-up candidate. Tyson Baillie has been an integral part of an amazing run by Kelowna (WHL) the past three seasons in which they've amassed an aw-inducing 160-40-14 regular season record. Last year, they lost the Memorial Cup final in overtime. Production isn't the issue for Baillie, who last year had a combined 100 points in 87 regular season and playoff games. One knock on him is his height -- 5-foot-10 but he is a solid 195 pounds. He also comes with a never-quit attitude that's seen him turn a development camp invite into a rookie camp invite and it's a main camp invite he's after this weekend. I'm curious how he'll be used by Ryan Huska, who knows him from coaching Baillie his first three years with the Rockets. 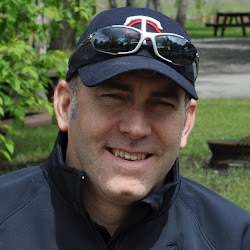 A classic late bloomer, Morrison went from playing AAA midget in his hometown of Lloydminster, where he was just looking to hang out and graduate from high school with his buddies, to playing one year of BC Junior, one year in the USHL, and then three years at Western Michigan under the tutelage of longtime NHL coach Andy Murray. As he told me in July in this feature, the NHL interest in him began in his second year of college and by last spring, several teams were courting him with him choosing to sign with Calgary. I'm curious to see him up close and playing in games because after a superb 10-game AHL audition in April, he could zip up the blue-line depth chart very quickly. NHL Central Scouting's 2015 mid-term rankings had the smooth-skating Swede as the No. 1 ranked International skater. Five months later, he was about to tumble into the 3rd round of the NHL draft when Calgary traded up to grab him with pick No. 60. So why the massive fall from grace? 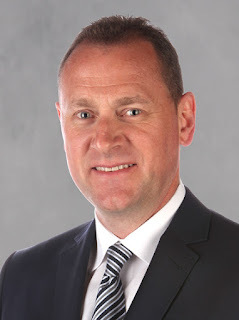 In July, GM Brad Treliving shared his thoughts. Now it's finally time to see him in some games so we can formulate our own opinions on what he needs to work on and the ideal league in which to work at it. The Stockton (AHL) vs Brandon (WHL) debate is a fascinating one that is about to get serious. I'm very anxious to see him play this weekend so I can make a more-informed decision on which I'd lean. From a guy who was in and out of the line-up as a borderline top six, to the top four, then finally to the top pairing and being entrusted to shut down the opposition's top line, Ryan Culkin's first year of pro hockey last year in Adirondack was a sharp ascent in terms of role and responsibility. If not for his gruesome season-ending wrist injury in February (he describes the traumatic night in this piece), the year could very well have culminated with a call-up to the NHL. Culkin loves the way the Flames deploys their defencemen, saying it perfectly fits how he plays the game and we should see plenty of glimpses of that this weekend if the 21-year-old can pick up where he left off last season. He finished eighth in OHL scoring last year with 104 points (top three went 1st, 3rd, and 4th in the draft) and he should pile up the points again this year. Flames may have themselves a 6th round steal. One game is about all I expect Sam Bennett to play but it should be a good one as he's an exciting talent that can score, make plays while also getting in an opponent's grill. With the puck, it's his ability to shift laterally and do things at top speed that distinguishes him from others and is why the 4th overall pick was ranked No. 1 by NHL Central Scouting. With Connor McDavid and Nikolaj Ehlers, there are a few Calder candidates in Penticton and know that a very driven and competitive Bennett will be out to showcase himself. He's the face of the Flames prospects, who I expect will one day be the face of the Flames.